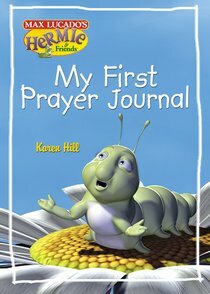 My First Prayer Journal fills a unique gap in the market as an interactive prayer journal for children ages 4 to 6. Hermie gently guides children through easy prompts and activities that encourage children to record their prayers with their own words and pictures. With easy-to-understand instructions, such as "circle the words" or "draw a picture," this prayer journal is a simple tool that can have amazing results. Much more than a journal, this book will help teach children how to pray and show them how God answers their prayers. When the journal is complete, store it away as a precious keepsake of the child's growing relationship with God. About "My First Prayer Journal (Hermie And Friends Series)"
Karen Hill is a freelance writer and editor and the assistant to author Max Lucado. She is the author of several children's books, including My Faith Journal. Karen and her husband, Art, have three children and three grandchildren.